Benedictines, an order of monks in the Roman Catholic church. The rules drawn up by St. Benedict gradually superseded those of St. Columban and others which had previously prevailed. His order, founded early in the 6th century, spread rapidly and widely. Its monks planted Christianity in Saxon England, Friesland, and Germany, and Father Boil, a Benedictine, was sent out with Columbus on his second voyage as vicar apostolic of the new world. The order claims 24 popes, 15,000 bishops, and 40,000 beatified or canonized saints. The rules were few and simple. The Benedictines were at first laics, and employed chiefly in manual labor; but gradually the order became a body of learned priests. During the middle ages they were the great preservers of ancient learning and assiduous cultivators of science and art, copying and preserving the classics, the Scriptures, and writings of the early fathers. For centuries they were the principal teachers of youth in all branches in their colleges and schools. As ascetics the Benedictines were less studied and formal than the later schools. 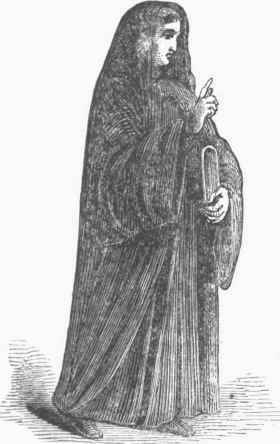 Down to the establishment of the mendicant orders all the monastic bodies in the Wesl based their rules on that of St. Benedict, such as those of Cluny and Citeaux, with the Bernardines, Feuillants, and Trap-pists, in France; Carthusians, Camaldolen-sians, Vallombrosians, etc. Besides these separate orders, reforms were made from time to time in the Benedictine order to revive the ancient discipline. The order of St. Benedict is divided into congregations, and has no general superior. Of these congregations, that of St. Maur, dispersed by the French revolution, is well known for its learned works, including the best editions of the fathers. Those in Spain, long reduced to the single monastery at Mont-serrat. are now suppressed. In Italy, previous to the conquests of Victor Emanuel, the congregation of Monte Casino was very flourishing embracing the provinces of Rome, Etruria, Lombardy, Naples, Sicily, and Subiaco. The Bavarian congregation comprises five monasteries, the Austrian three, the Brazilian seven, the Mechitarist two provinces with several monasteries at Venice and in the East, the French three monasteries. The English congregation, famous for its ascetical writers, was restored in 1603. and now comprises four monasteries, and the body is well represented in the Roman Catholic hierarchy of England. The Benedictines were introduced into the United States by the Rev. Boniface Wimmer, who established a house at Carrolltovvn, Penn., in October 1840, which is now St. Vincent's abbey, he being mitred abbot. The order spread rapidly, and now forms the American Casinensian congregation, comprising two mitred abbots, three monasteries, six priories depending on abbeys, and more than 100 monks. There is also at St. Meinrad's, Indiana, an abbey of the Hel-veto-American congregation, a filiation of Ein-siedeln, founded in 1853, and erected into an abbey and congregation in 1870. The order includes a number of independent houses, some of them very large and flourishing. Of these the most famous are Our Lady of Hermits at Einsiedeln in Switzerland, and St. Peter and Paul near Melk in Austria. The number of Benedictines was estimated in 1869 at 2,089. - Benedictine Nuns. St. Scholastica, sister of St. Benedict, is generally regarded as the foundress of the Benedictine nuns. They took part in the conversion of Germany, and St. Walpurga is looked upon as the foundress of all the convents there. Convents of this rule exist in almost all parts where monks are established. There are in the United States 12 convents of Benedictine nuns, devoted to education, in New Jersey, Pennsylvania, Kentucky, Indiana, Illinois, Minnesota, Kansas, and Nebraska. The oldest is that of St. Mary's, Pennsylvania, a filiation of St. Walpurga's at Eichstadt, Germany, established in 1853.